Step 1: Take a nice, long walk outside with your preschooler(s) to look for leaves. 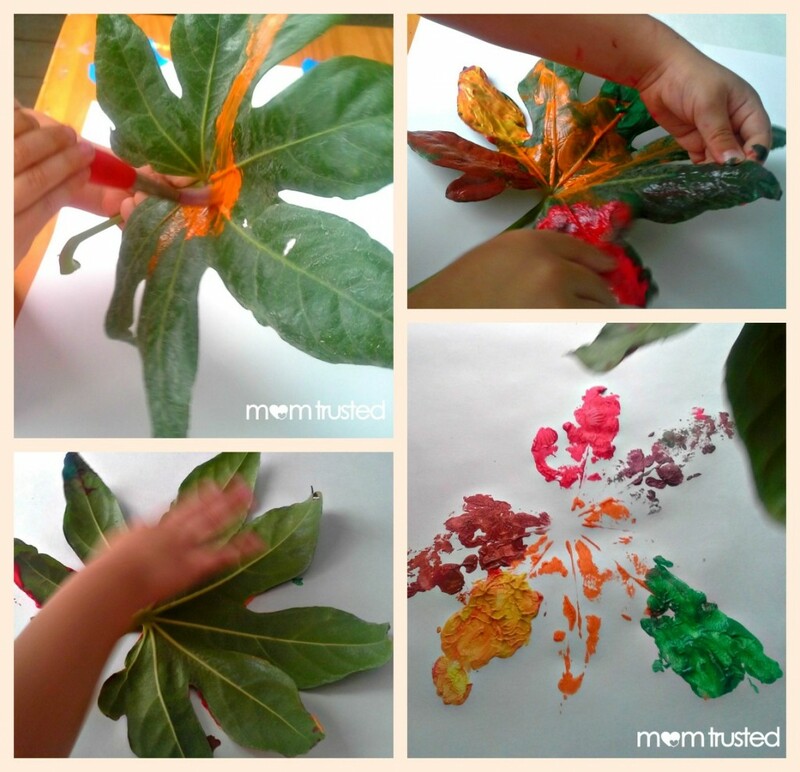 The color of the leaf is not important, but a larger leaf with a long stem is much easier for preschoolers to work with. Of course, if your preschooler has his/her heart set on a tiny leaf, by all means work with the leaf chosen! 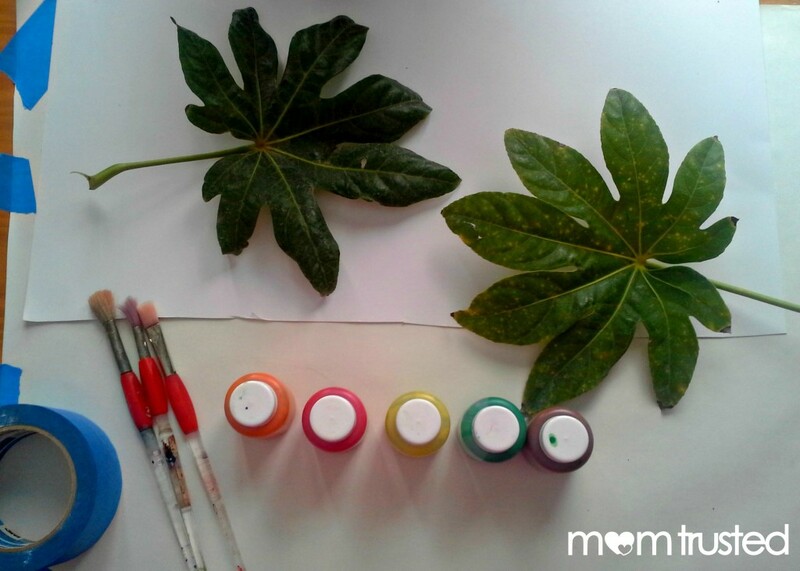 Step 2: Once you have all the materials prepared and ready to go, have your preschooler(s) paint the leaf on top of a scratch sheet of paper or a scrap newspaper to keep the paint from getting on the sheet of paper designated for the print. 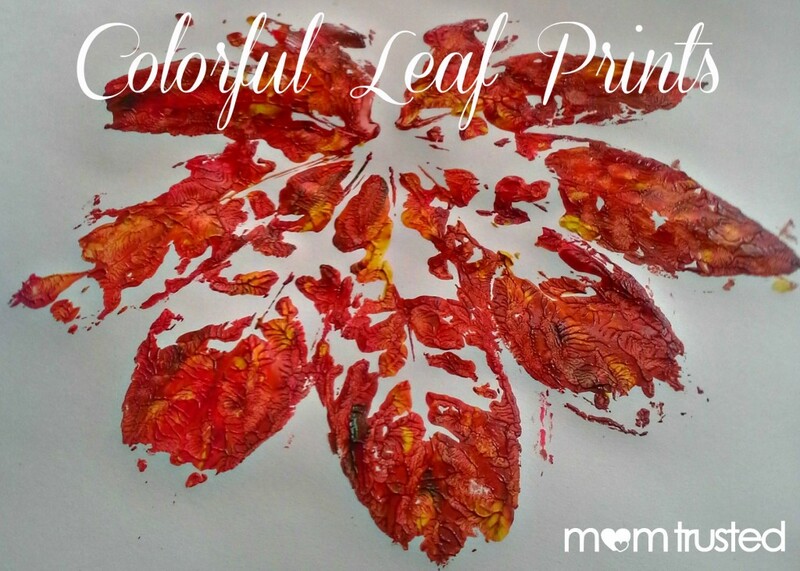 Step 3: Once the leaf has been painted, flip the leaf over onto the blank sheet of paper and press all over the leaf’s surface to make sure that the paint from the leaf transfers to the paper. Step 4: Slowly leaf the leave to reveal the beautiful print. Allow the paint to dry thoroughly. 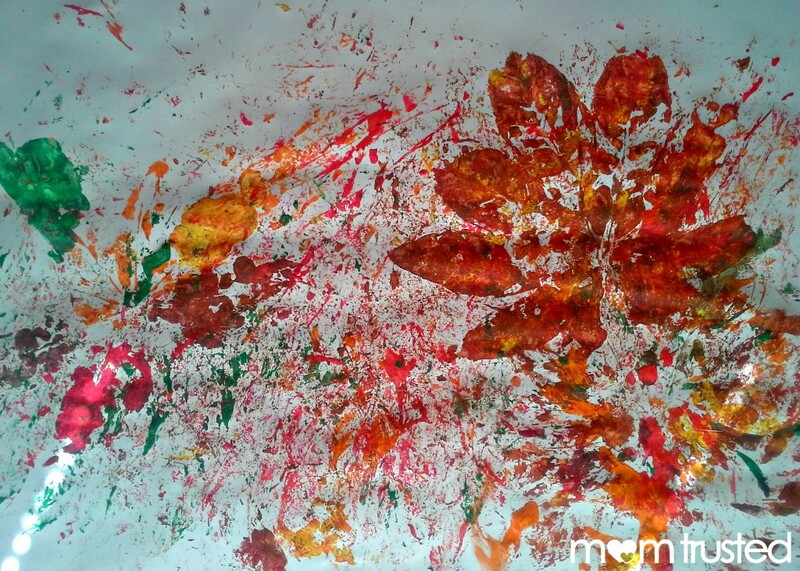 Instead of turning the leaves over to make prints, let your preschooler(s) use the leaves to swat the paint onto the paper. Not only does this make an interesting paint design, your preschooler(s) will have a blast doing it!